This Agreement contains an agreement to arbitrate all claims and disclaimers of warranties and liability. You may pursue claims against us only on an individual basis, and not as part of any class or representative action or proceeding, and you may seek relief (including monetary, injunctive and declaratory relief) only on an individual basis. We may immediately terminate your access to or use of our Services if you fail to comply with any provision of this Agreement. We do not knowingly collect personally identifiable information from children under 13. If we learn that we have inadvertently gathered personal information from a child under 13, we will take reasonable measures to promptly remove that information from our records. Your access and use of our Services may be interrupted from time to time for any of several reasons, including the malfunction of equipment, periodic updating, maintenance or repair of our Services or other actions that we may, in our sole discretion, elect to take. We may suspend or discontinue the availability of our Services or any portion or feature of our Services at any time in our sole discretion and without prior notice to you. We will not be liable if, for any reason, all or any part of our Services are unavailable at any time or for any period. From time to time, we may restrict access to all or any part of our Services by users. In connection with our Services, you may make only legitimate reservations in good faith for use only by you or others on whose behalf you are authorized to act, and not for other purposes, including reselling, impermissibly assigning or posting on third-party websites, making speculative, false or fraudulent reservations, or any reservations in anticipation of demand. We may, in our sole discretion, cancel or modify reservations for any reason, including any breach of this Agreement, where it appears that you engaged in fraudulent or inappropriate activity, or under other circumstances where it appears that the reservations contain or resulted from a mistake or error, even if such mistake or error is ours. You Must Maintain the Security of Any Password Issued to You. If our Services require you to create a password to use certain portions of our Services, or use a password you have created with a third party, then it is your sole responsibility to maintain the security of that password. We will not be liable for any loss that you may suffer as a result of the authorized or unauthorized use of your password by a third party. You will not allow any minor to use our Services via your registration or password. We have the right to disable any user name, password or other identifier, whether chosen by you or provided by us, at any time in our sole discretion for any or no reason, including if, in our sole opinion, you have violated any provision of this Agreement. You Must Notify Us of a Breach. You will immediately notify us of any unauthorized use of your password, any unauthorized use of any account that you may have with us, any violation of this Agreement, or any other breach of security known to you in connection with any product or service available on or through our Services by contacting us at marketing@ABCGlobalServices.com. You Must Comply with this Agreement and All Applicable Law You will comply with the terms of this Agreement and all applicable local, state, national and international laws, regulations or rules. You will not submit to our Services any User Generated Content (as defined below) or other material that is contrary to this Agreement (including the Community Standards described below) or to applicable local, state, national or international laws, regulations or rules. Our Services may contain message boards, forums, bulletin boards, accounts, and other features that allow you and other users to publish, post, submit, transmit or display (collectively, “post”) information (including messages and other content) on or through our Services to other users of our Services or third parties (“User Generated Content”). We do not approve or endorse any User Generated Content, and we have no control over the quality, correctness, timeliness, safety, truth, accuracy or legality of any User Generated Content provided by you or any other person or entity. You are solely responsible for the quality, correctness, timeliness, safety, truth, accuracy or legality of your User Generated Content. You may find User Generated Content posted by other users to be offensive, harmful, indecent, inaccurate or deceptive. You hereby waive any legal or equitable rights or remedies you have or may have against us with respect to User Generated Content. Please use caution and common sense, and do not rely solely on User Generated Content published through our Services. Without limiting the generality of the foregoing, and although we do not regularly review User Generated Content, we reserve the right, but not the obligation, to remove or edit any User Generated Content. Please immediately report problems with the User Generated Content to us at marketing@ABCGlobalServcies.com. Contain, transmit or cause any viruses, worms, Trojan horses, trap doors, back doors, easter eggs, time bombs, cancelbots or other code or computer programming routines that encompass contaminating or destructive properties or that are intended to damage, detrimentally interfere with, surreptitiously intercept or expropriate any system, data or personal information. If you are unsure about the appropriateness of any access or use of our Services, or User Generated Content related to any of our Services, you must refrain from such access or use, or from posting or communicating any such User Generated Content, until you receive express prior written approval from us. If you transmit, submit or post information to our Services (including User Generated Content) that is not federally trademarked or copyrighted, you automatically grant us and our assigns the worldwide, fully-paid, royalty-free, exclusive right and license to use, copy, format, adapt, publish, distribute, create derivative works from, or incorporate any or all such information in any media whatsoever, including the Content (as defined below). Provided that you have obtained prior written permission from us to transmit, submit or post information to our Services that is federally trademarked or copyrighted, you automatically grant us and our assigns the worldwide, fully-paid, royalty-free right to use, copy, format, adapt, publish, distribute, create derivative works from or incorporate any or all such information in any media whatsoever, including the Content. You also hereby grant each user of our Services a non-exclusive license to access your User Generated Content through the Services, and to use, reproduce, distribute and display such User Generated Content as permitted through the functionality of the Services and under this Agreement. The above licenses granted by you are perpetual and irrevocable. You are solely responsible for all your transmissions, submissions or postings (for example, your own User Generated Content) and the consequences of transmitting, submitting or posting them. We assume no liability for any action or inaction regarding transmissions, submissions or postings by you or any other user or third party. Take any action with respect to any User Generated Content that we deem necessary or appropriate, in our sole discretion, including removal of any User Generated Content if we believe, in our sole opinion, that such User Generated Content violates this Agreement, infringes any intellectual property right or other right of any person or entity, threatens the personal safety of users of our Services or the public or could create liability for us. Take appropriate legal action, including referral to law enforcement for any illegal or unauthorized use of our Services. Terminate or suspend your access to all or part of our Services for any or no reason, including any violation of this Agreement. Without limiting the foregoing, we have the right to fully cooperate with any law enforcement authorities or court order requesting or directing us to disclose the identity or other information of anyone posting any materials on or through our Services. YOU WAIVE AND HOLD US (AND OUR AFFILIATES, LICENSEES AND SERVICE PROVIDERS) HARMLESS FROM ANY CLAIMS RESULTING FROM ANY ACTION TAKEN BY ANY OF THE FOREGOING PARTIES DURING OR AS A RESULT OF THEIR INVESTIGATIONS AND FROM ANY ACTIONS TAKEN AS A CONSEQUENCE OF INVESTIGATIONS BY EITHER SUCH PARTIES OR LAW ENFORCEMENT AUTHORITIES. Our Services and their entire contents, features and functionality (including all information, text, software, displays, images, video, audio names, graphics, logos, page headers, button icons, scripts and service names, and the design, selection and arrangement of the foregoing) are owned by us, our licensors or other providers of such material and are protected by United States or international copyright, trademark, patent, trade secret and other intellectual property or proprietary rights laws (collectively, the “Proprietary Marks”). You may not use the Proprietary Marks without our prior express written permission, which permission may be withheld in our sole discretion. We make no proprietary claim to any third-party names, trademarks or service marks appearing on or within our Services. Any third-party names, trademarks and service marks are property of their respective owners. The information, advice, data, software and content viewable on, contained in or downloadable from our Services (collectively, the “Content”), including all text, graphics, charts, pictures, photographs, videos, images, line art, icons and renditions, are copyrighted or trademarked by, or otherwise licensed to, us or our Content suppliers. We also own a copyright of a collective work in the selection, coordination, arrangement, presentation, display and enhancement of the Content (the “Collective Work”). All software used on or within our Services is our property or the property of our software vendors and is protected by United States and international copyright laws. Viewing, reading, printing, downloading or otherwise using the Content or the Collective Work does not entitle you to any ownership or intellectual property rights to the Content (including the software) or the Collective Work. You are solely responsible for any damages resulting from your infringement of our or any third-party’s intellectual property rights regarding the Proprietary Marks, the Content (including the software), the Collective Work or any other harm incurred by us as a direct or indirect result of your copying, distributing, redistributing, transmitting, publishing or using the Proprietary Marks, the Content (including the software) or the Collective Work for purposes that are contrary to the terms and conditions of this Agreement. Subject to your compliance with this Agreement, and subject to and without limiting any additional and applicable terms and conditions regarding the use of certain Content, we grant you a limited license to access, print, download or otherwise make personal use of the Content and the Collective Work in the form of: (i) one machine-readable copy; (ii) one backup copy; and (iii) one print copy, in each case solely for your non-commercial use; provided, however, that you will not delete any proprietary notices or materials with regard to the foregoing manifestations of the Content and the Collective Work. You may not (a) modify the Content or the Collective Work; (b) utilize the Content or the Collective Work for any commercial purpose or any other public display, performance, sale or rental; (c) decompile, reverse engineer or disassemble the Content and the Collective Work; or (d) transfer the Content or the Collective Work to another person or entity. Except as otherwise permitted under the copyright laws of the United States, no other copying, distribution, redistribution, transmission, publication or use, other than as expressly permitted by this Agreement, is permitted by you without our prior written permission, which may be withheld in our sole discretion. You may not use any meta tags or any other “hidden text” utilizing our name or trademarks, or provide links to or frame our Services, without our prior written permission, which may be withheld in our sole discretion. You will not use any robot, spider, scraper, deep link or other similar automated data gathering or extraction tools, program, algorithm or methodology to access, acquire, copy or monitor our Services or any portion of our Services or for any other purpose, without our prior written permission, which may be withheld in our sole discretion. Additionally, you will not: (i) take any action that imposes, or may impose, in our sole discretion, an unreasonable or disproportionately large load on our infrastructure; (ii) copy, reproduce, modify, create derivative works from, distribute or publicly display any Content or Collective Work (except for Your Information) from our Services without our prior written permission, which may be withheld in our sole discretion, and the permission of the appropriate third party, as applicable; (iii) interfere or attempt to interfere with the proper working of our Services or any activities conducted on our Services; or (iv) bypass any robot exclusion headers or other measures we may use to prevent or restrict access to our Services. We may, without prior notice to you, immediately disconnect your access to and use of our Services if you interfere or disrupt our Services. Notwithstanding the foregoing, we grant the operators of public search engines permission to use spiders to copy materials from our Services for the sole purpose of, and solely to the extent necessary, creating publicly available search indices of the materials on or within our Services, but not caches or archives of such materials. We may revoke these exceptions either generally or in specific cases. You will not collect or harvest any personally identifiable information, including account names, from our Services. Other than as expressly provided by this Agreement, you will not solicit for commercial purposes any users of our Services via image, video, text or any other method without our prior written consent, which may be withheld in our sole discretion. You are responsible for your interactions and exchanges with other ABC users (including both hotels and guests). 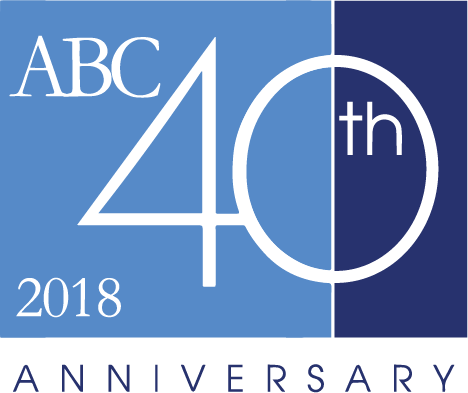 ABC will not be responsible for any communication, interaction or provision of services between or among ABC users (including both hotels and guests) whatsoever. You agree and understand that (i) we have no control over the conduct of any ABC user (including any hotel and guest), and that the applicable hotel is solely responsible for providing the hotel accommodation and other travel services; (ii) any claims or causes of action arising out of any action or inaction of any ABC user (including any hotel and guest) will be exclusively between you and such user, and not us; and (iii) we only provide a platform for communication and reservations between hotels and guests, and as such we disclaim any and all liability relating to your interactions with any ABC user (including any hotel and guest). Any representations made to you by any ABC user (including any hotel and guest) are made solely at the discretion of such user and we have no way to monitor or validate, and will not be responsible or liable in any way for, any representations or statements made to you by any ABC user. You understand and acknowledge that we will have no liability to you for any statements or representations made by any ABC user (including any hotel and guest) to you as a result of your use of our Services or the provision of any hotel accommodation or other travel services. If you have a problem with another ABC user (whether a hotel or guest), we are not required to get involved, but we can if we desire. You release ABC and its officers, members, managers, subsidiaries, affiliates, agents, representatives, and employees from responsibility, claims, demands or damages (actual or consequential) of every kind and nature, whether known or unknown, resulting from that dispute or connected to that dispute, including any loss, damage or injury, including death, that you or any of your property may sustain now or in the future in connection with or arising from our Services or services provided by any ABC user (including hotels), regardless of whether such loss is caused by the negligence of ABC or its representatives and regardless of whether such liability arises in tort, contract, strict liability or otherwise. This includes special, incidental, exemplary, indirect, punitive, and consequential damages as well as damages for any loss of profits, revenue, business, goodwill, use, and data. You assume full responsibility for any risks of loss, property damage or personal injury, including death, in connection with or arising from our Services or services provided by any ABC user (including hotels). The foregoing will bind your family members, spouse, heirs, assigns, personal representatives and anyone else entitled to act on your behalf to the extent they act on your behalf, and is deemed as a release, waiver, discharge and covenant not to sue ABC or its representatives. You may have the ability to purchase, reserve or otherwise obtain certain hotel accommodations or other travel services (collectively, “Products”) on or through our Services (a “Transaction”). All Transactions are governed by this Agreement. Advertised prices and available quantities are subject to change without notice. We may, in our sole discretion and without any notice to you, limit, change or restrict our Product offerings to you for any or no reason, subject to applicable laws. Our Services may contain technical inaccuracies and typographical or other errors in connection with the Products, including available hotels, prices or available quantities applicable to a Transaction. We make no representations and assume no responsibility as to the completeness, accuracy or timeliness of any Content on or describing our Services (including any features, specifications, available hotels, prices and available quantities). We may, in our sole discretion, honor Transactions or information affected by any errors, inaccuracies or omissions in connection with our Services. We may make changes, corrections, cancellations or improvements to our Services, and to the related Products and programs described, at any time without notice, including after confirmation of a Transaction or appointment. If you wish to make a Transaction, you may be asked to supply certain relevant information, such as your name, your credit card number and its expiration date and your billing address. You represent and warrant that you have the right to use any credit card that you submit in connection with a Transaction. By submitting such information, you grant to us the right to provide such information to third parties for purposes of facilitating Transactions and you agree that we and any of our third-party payment processors are authorized to immediately debit or credit your account for all applicable fees and charges and that no additional notice or consent is required. You will pay all charges incurred by you or on your behalf through our Services, at the prices in effect when such charges are incurred. In addition, you are responsible for any taxes applicable to your Transactions. You will immediately notify us of any change in your payment and financial information. We reserve the right at any time to change its prices and billing methods. All information that you provide to us or our third-party payment processors must be accurate, current and complete. Verification of information may be required prior to the acknowledgment or completion of any Transaction. By making a Transaction, you represent and warrant that the applicable Products will be used only in a lawful manner, and all Products purchased by you are for personal or gift use and not for commercial use or resale. We may, in our sole discretion and without prior notice, (i) limit the available quantity of or discontinue making available any Product; (ii) impose conditions on the honoring of any coupon, discount or similar promotion; (iii) bar any user from making any Transaction; and (iv) refuse to provide any user with any Product. We are not responsible for communication failures, errors, difficulties or other malfunctions or lost, stolen or misdirected transactions, transmissions, messages or entries on or in connection with our Services. We are not responsible for any incorrect information associated with any Transaction on or to our Services regardless of whether such incident is the result of user error, system error or human error. We may, in our sole discretion, cancel or reverse any payment, even if it has been previously confirmed by us, as a result of any mistake or error, including any mistaken pricing or service description or other error. WE MAKE NO WARRANTY OR REPRESENTATION REGARDING THE CONFIDENTIALITY OF ANY COMMUNICATION OR INFORMATION TRANSMITTED ON OUR SERVICES OR ANY LINKS ASSOCIATED WITH OUR SERVICES. WE WILL NOT BE RESPONSIBLE OR LIABLE IN ANY WAY FOR ANY INJURY, LOSS OR DAMAGE TO YOUR COMPUTER, MOBILE PHONE OR OTHER DEVICE, OR INTERCEPTION OR USE OF CREDIT CARD OR FINANCIAL INFORMATION OR OTHER PERSONALLY IDENTIFIABLE INFORMATION, RELATED TO OR RESULTING FROM USE OF OUR SERVICES OR ANY LINKS ASSOCIATED WITH OUR SERVICES. There may be provided on or through our Services links or access to other websites, mediums, content or materials belonging to our advertisers, business partners, affiliates and other third parties. Such links and access do not constitute our endorsement of those third parties, nor the products or services of those third parties. We are not responsible for the activities or policies of those third parties. We accept no responsibility for such third parties or for any loss or damage that may arise from your use of the third-party links or the products or services of those third parties. We do not guarantee that the terms, prices or other content offered by any particular advertiser, business partner, affiliate or other third party on or through our Services are accurate or the best terms or lowest prices available in the market. You acknowledge and agree that we are not responsible for any third-party materials, including their accuracy, completeness, timeliness, validity, copyright compliance, legality, decency, quality or any other aspect thereof. All third-party materials and links are provided solely as a convenience to you. If you decide to access any of the third-party websites or mediums, you do so entirely at your own risk and subject to the terms and conditions of use of such third-party websites and mediums. Promotions may require you to provide Your Information (subject to this Agreement) in order to participate. Each Promotion is (i) void where prohibited by applicable laws, regulations or rules; (ii) not applicable to prior purchases and cannot be combined with any other offer, discount or coupon; and (iii) subject to availability and while stock or supplies lasts. We may, in our sole discretion and without any notice to you, alter, change, withdraw or cancel any Promotion, or any person’s participation in any Promotion, at any time for any reason. For instance, we may disqualify entries for any Promotion that are late, misdirected, incomplete, corrupted, lost, illegible or invalid or where appropriate parental consent has not been provided. Unless the associated rules posted in connection with a Promotion provide otherwise, (a) entries are limited to one per person and entries via agents or third parties or the use of multiple identities are not permitted; (b) use of automated entries, votes or other programs is prohibited and all such entries (or votes) will be disqualified; (c) Promotions are not open to our employees (or their immediate families) or anyone else professionally associated with such Promotion; (d) you are solely responsible for all taxes in connection with your participation in any Promotion, except we reserve the right to withhold applicable taxes, and you agree to complete any required tax forms as reasonably requested by us; (e) no prize or entry in connection with a Promotion is transferable, refundable and negotiable, and no prize may be exchangeable for cash or any other benefit, except that we (or the party providing a prize) reserve the right to substitute a similar prize of equal or greater value; and (f) (i) your acceptance of a prize constitutes agreement to participate in reasonable publicity related to any Promotion and grants us an unconditional right to use your name, likeness, town or city and state, prize information and statements by you about the Promotion for publicity, advertising and promotional purposes, subject to applicable law, without any additional permission from, or compensation to, you whatsoever; and (ii) as a condition to receiving any prize in connection with any Promotion, you (or your parent or guardian) may be required to sign and return an affidavit of eligibility, liability release and publicity release. By using our Services, you authorize us and our agents, representatives and independent contractors to contact you at any telephone number (including telephone numbers associated with mobile, cellular, wireless or similar devices) you provide to us or from which you place a call to us, or any telephone number at which we reasonably believe we may reach you, using any means of communication, including calls or text messages using an automatic telephone dialing system or prerecorded messages, even if you incur charges for receiving such communications. (v) acknowledge that we may, in our sole discretion and at any time, change, suspend, remove or disable access to content or other materials comprising part of the Mobile Services at any time without notice. In no event will we be liable for making these changes. We may also impose limits on the use or access of certain features or portions of the Mobile Services, in any case without notice or liability. Any mobile application(s) made available by us (the “Apps”) are licensed, not sold, to you. Your license to the Apps is subject to your prior acceptance of this Agreement and you agree that this Agreement will apply to the Apps that you license. Your license to any Apps under this Agreement is granted by us. Any App that is subject to the license granted under this Agreement is referred to herein as a “Licensed Application.” We reserve all rights in and to any Licensed Applications not expressly granted to you under this Agreement. This license granted to you for any Licensed Application is a limited, non-exclusive and nontransferable license to (i) download, install and use the Licensed Application for your personal use on a single, compatible mobile device that you own or control (“Mobile Device”), as permitted by this Agreement and subject to any additional rules and restrictions imposed upon you by third parties, such as rules and restrictions imposed by your mobile device provider and your mobile application store provider (“Third-Party Rules”); and (ii) access, stream, download and use on such Mobile Device the Content and the Mobile Services made available in or otherwise accessible through the Licensed Applications, strictly in accordance with this Agreement. For the avoidance of doubt, this license does not allow you to use any Licensed Application on any Mobile Device that you do not own or control, and you may not distribute or make any Licensed Application available over a network where it could be used by multiple devices at the same time. You may not rent, lease, lend, sell, transfer, redistribute or sublicense any Licensed Application and, if you sell or otherwise transfer your Mobile Device to a third party, you must remove each Licensed Application from the Mobile Device before doing so. You may not copy (except as expressly permitted by this license and the Third-Party Rules), decompile, reverse-engineer, disassemble, attempt to derive the source code of, modify or create derivative works of any Licensed Application, any Updates (as defined below), or any part of any Licensed Application or Update (except as and only to the extent that any foregoing restriction is prohibited by applicable law or to the extent as may be permitted by the licensing terms governing use of any open-sourced components included in the Licensed Applications). Any attempt to do so is a violation of our rights and the rights of our licensors. If you breach this restriction, you may be subject to prosecution and damages. The terms of this license will govern any Updates, unless such Update is accompanied by a separate license in which case the terms of that license will govern. This license to use these Licensed Applications is effective until terminated by you or us. You may terminate this license by deleting the Licensed Application and all copies of such Licensed Application from your Mobile Device. We may terminate this license at any time for any or no reason without notice. Additionally, this license will terminate automatically without notice from us if you fail to comply with any term of this Agreement. Upon termination of this license, you will cease all use of such Licensed Application and destroy all copies, full or partial, of such Licensed Application. Any termination of this license will not limit any of our rights or remedies available at law or in equity. ii. you may receive notice of or be prompted to download and install available Updates. You will promptly download and install all Updates. You hereby acknowledge and agree that the Licensed Application or portions of such Licensed Application may not properly operate should you fail to do so. Our Services (including any Content and Licensed Application) may be subject to United States export control laws, including the US Export Administration Act and its associated rules, restrictions and regulations. You will not, directly or indirectly, export, re-export or release any of our Services (including any Content and Licensed Application) to, or make any of our Services (including any Content and Licensed Application) accessible from, any jurisdiction or country to which export, re-export or release is prohibited by law, rule or regulation. You will comply with all applicable laws, restrictions, regulations and rules, and complete all required undertakings (including obtaining any necessary export license or other governmental approval), prior to exporting, re-exporting, releasing or otherwise making any of our Services (including any Content and Licensed Application) available outside of the United States (which excludes all United States territories and possessions). Our Services are controlled, operated and administered by us from our offices within the United States of America. We make no representations that our Services are permissible, appropriate or available for use in other jurisdictions. If you access any Services from a location outside the United States of America, then you do so by your own volition and you are solely responsible for compliance with all laws, regulations and rules (including local laws and any applicable United States export control laws). You will not use our Services or any Content in a manner prohibited by any applicable state, federal, international or local laws, rules, restrictions or regulations. It is our policy to comply with the Digital Millennium Copyright Act, title 17, United States Code, Section 512, including responding to notices of alleged copyright infringement, and other applicable intellectual property laws. We may, in appropriate circumstances, disable or terminate the accounts of users who may infringe or repeatedly infringe the copyrights or other intellectual property rights of ours or others. (iii) we will take reasonable steps to promptly notify the Subscriber that we have removed or disabled access to the material. (iv) the Subscriber’s name, address, and telephone number, and a statement that the Subscriber consents to the jurisdiction of Federal District Court for the judicial district in which the address is located, or if the Subscriber’s address is outside of the United States, for any judicial district in which we may be found, and that the Subscriber will accept service of process from the person who provided the Counter Notification or an agent of such person. (iii) we will replace the removed material or cease disabling access to the removed material not less than 10 business days, nor more than 14 business days following receipt of the Counter Notification, provided our designated agent has not received notice from the Complaining Party that an action has been filed seeking a court order to restrain the Subscriber from engaging in infringing activity relating to the removed material on our network or system. You expressly agree that your use of our Services (including any Mobile Services and any Licensed Applications), the Content and all information, content, materials, products and services is at your sole risk. It is your sole responsibility to independently evaluate the accuracy, correctness or completeness of our Services, the Content and all information, content, materials, products and services. Our Services (including any Mobile Services and any Licensed Applications), the Content and all information, content, materials, products and services included on or associates with our Services are provided to you on an “as-is” and “as available” basis. We make no representations or warranties of any kind, express or implied, as to the operation of these Services (including any Mobile Services and any Licensed Applications), the Content or the information, content, materials, products or services included on or associated with our Services, including their accuracy, correctness, completeness, safety, reliability, title, timeliness, non-infringement, merchantability, conformity or fitness for a particular purpose. IN NO EVENT ARE WE RESPONSIBLE OR LIABLE TO YOU OR ANY THIRD PARTY, WHETHER RESULTING, IN WHOLE OR IN PART, FROM BREACH OF CONTRACT, WARRANTY, TORT (INCLUDING STRICT LIABILITY AND NEGLIGENCE) OR OTHERWISE, FOR ANY DAMAGES, INCLUDING SPECIAL, INCIDENTAL, EXEMPLARY, INDIRECT, PUNITIVE OR CONSEQUENTIAL DAMAGES THAT INCLUDE DAMAGES FOR ANY PERSONAL OR BODILY INJURY, EMOTIONAL DISTRESS, INJURIES TO PROPERTY AND LOSS OF PROFIT, REVENUE OR BUSINESS, AS A DIRECT OR INDIRECT RESULT OF: (I) YOUR BREACH OR VIOLATION OF ANY TERM OR CONDITION OF THIS AGREEMENT; (II) YOUR ACCESS AND USE OF OUR SERVICES (INCLUDING ANY MOBILE SERVICES OR LICENSED APPLICATIONS), THE USER GENERATED CONTENT OR THE CONTENT; (III) YOUR DELAY IN ACCESSING OR INABILITY TO ACCESS OR USE OUR SERVICES FOR ANY REASON; (IV) YOUR DOWNLOADING OR USE OF ANY OF THE CONTENT, THE COLLECTIVE WORK OR USER GENERATED CONTENT; (V) YOUR RELIANCE UPON OR USE OF OUR SERVICES, THE USER GENERATED CONTENT, THE CONTENT OR THE COLLECTIVE WORK; (VI) ANY TRANSACTION OR PROCESSING OF A TRANSACTION; (VII) ANY THIRD PARTY’S USE OF OUR SERVICES ON YOUR BEHALF; (VIII) THE BREACH OF OUR SECURITY AND UNAUTHORIZED DISCLOSURE OF YOUR INFORMATION; (IX) YOUR COMMUNICATION OR INTERACTION WITH ANY OTHER USER (INCLUDING ANY HOTEL OR GUEST), INCLUDING ANY HOTEL ACCOMMODATION OR OTHER TRAVEL SERVICES; OR (X) ANY INFORMATION, SOFTWARE, PRODUCTS OR SERVICES OBTAINED ON OR THROUGH OUR SERVICES, OR OTHERWISE ARISING OUT OF THE USE OF OUR SERVICES, EVEN IF WE OR OUR AGENTS, REPRESENTATIVES, LICENSORS, VENDORS, SUPPLIERS OR ANY OTHER APPLICABLE THIRD PARTY HAVE BEEN ADVISED OF THE POSSIBILITY OF DAMAGES. EXCEPT AS OTHERWISE EXPRESSLY STATED BY US IN WRITING AT THE TIME OF PURCHASE OR OTHERWISE, OUR LIABILITY AND THE LIABILITY OF OUR DIRECTORS, OFFICERS, MEMBERS, MANAGERS, EMPLOYEES, INDEPENDENT CONTRACTORS, SHAREHOLDERS, REPRESENTATIVES AND AGENTS ARISING OUT OF THIS AGREEMENT WILL NOT EXCEED $100. YOU SPECIFICALLY ACKNOWLEDGE THAT WE WILL NOT BE LIABLE FOR USER GENERATED CONTENT OR THE DEFAMATORY, OFFENSIVE OR ILLEGAL CONDUCT OF ANY THIRD PARTY, AND THAT THE RISK OF HARM OR DAMAGE FROM SUCH USER GENERATED CONTENT AND THIRD-PARTY CONDUCT RESTS ENTIRELY WITH YOU. IN ADDITION, YOU SPECIFICALLY ACKNOWLEDGE THAT WE WILL NOT BE LIABLE FOR ANY CONSEQUENCES OF ACTIONS YOU TAKE OR FAIL TO TAKE BASED ON USER GENERATED CONTENT, PHOTOGRAPHS OR RECORDINGS, INCLUDING DEATH, PERSONAL INJURY, PROPERTY DAMAGE OR EMOTIONAL DISTRESS, AND THAT THE RISK OF HARM OR DAMAGE FROM SUCH ACTIONS OR INACTIONS RESTS ENTIRELY WITH YOU. YOU AND WE AGREE THAT ANY CAUSE OF ACTION ARISING OUT OF OR RELATED TO OUR SERVICES MUST COMMENCE WITHIN 1 YEAR AFTER THE CAUSE OF ACTION ACCRUES. OTHERWISE, SUCH CAUSE OF ACTION IS PERMANENTLY BARRED. Certain state laws do not allow limitations on implied warranties or the exclusion or limitation of certain damages. If these state laws apply to you, some or all of the above disclaimers, exclusions or limitations may not apply to you. In the event that any limitation on the period of time for bringing an action, claim, dispute or proceeding against us, located in this Limitations on Our Liability section, is determined or held to be inapplicable or unenforceable by any court, arbitration panel or other tribunal, then the statute of limitations for the State of Florida, including Florida Statutes Section 95, will apply to any such action, claim, dispute or proceeding referred to final or binding arbitration. You will defend, indemnify and hold harmless us and our officers, directors, members, managers, shareholders, employees, independent contractors, agents and representatives from and against all claims and expenses, including attorneys’ fees, arising out of or attributable to: (i) any breach or violation of this Agreement; (ii) your failure to provide accurate, complete and current Your Information requested or required by us; (iii) your access or use of our Services or the Content; (iv) access or use of our Services under any password that may be issued to you; (v) your transmissions, submissions or postings (for example, your own User Generated Content); (vi) your communication or interaction with any user (including any hotel or guest), including any hotel accommodation or other travel services; or (vii) any personal injury, property damage or emotional distress caused by you. You acknowledge that we may be irreparably damaged if this Agreement is not specifically enforced, and damages at law would be an inadequate remedy. Therefore, in the event of a breach or threatened breach of any provision of this Agreement by you, we will be entitled, in addition to all rights and remedies, to an injunction restraining such breach or threatened breach, without being required to show any actual damage or to post an injunction bond, or to a decree for specific performance of the provisions of this Agreement. For purposes of this Our Remedies section, you agree that any action or proceeding with regard to such injunction restraining such breach or threatened breach will be brought in the courts of record of Palm Beach County, Florida, or the United States District Court, Southern District of Florida. You consent to the jurisdiction of such court and waive any objection to the laying of venue of any such action or proceeding in such court. Service of any court paper may be effected on such party by mail or in such other manner as may be provided under applicable laws, regulations, rules of procedure or local rules. You and we agree that any claim or dispute at law or equity that has arisen or may arise between us relating in any way to or arising out of this Agreement or your use of or access to the Services will be resolved in accordance with the provisions set forth in this Legal Disputes section. Please read this Legal Disputes section carefully. It affects your rights and will have a substantial impact on how claims you and we have against each other are resolved. This Agreement is to be governed by and construed in accordance with the internal laws of the State of Florida, without regard for principles of conflicts of laws. The application of the United Nations Convention on Contracts for the International Sale of Goods is expressly excluded. You agree that: (i) our Services will be deemed solely based in the State of Florida; and (ii) our Services will be deemed passive Services that do not give rise to personal jurisdiction over us and our assigns, either specific or general, in jurisdictions other than the State of Florida. Any civil action, claim, dispute or proceeding arising out of or relating to this or any previous version of this Agreement, your use of or access to our Services or any products or services sold, offered or purchased on or through our Services, except for an injunctive action regarding a breach or threatened breach of any provision of this Agreement by you as provided above, will be resolved exclusively through final and binding arbitration, before a single arbitrator, rather than in court. The Federal Arbitration Act governs the interpretation and enforcement of this Agreement to Arbitrate section (this “Agreement to Arbitrate”). The arbitrator, and not any federal, state or local court or agency, will have exclusive authority to resolve any dispute arising out of or relating to the interpretation, applicability, enforceability or formation of this Agreement to Arbitrate, any part of it, or of this Agreement, including any claim that all or any part of the Agreement to Arbitrate or this Agreement is void or voidable. The arbitration will be conducted by the American Arbitration Association (the “AAA”) in Palm Beach County, Florida, under the AAA’s rules and procedures, including the AAA’s Supplementary Procedures for Consumer-Related Disputes (as applicable), as modified by this Agreement to Arbitrate. The AAA’s rules are available at www.adr.org. A form for initiating arbitration proceedings is available on the AAA’s site at http://www.adr.org. You and we will select the arbitrator, and if you and we are unable to reach agreement on selection of the arbitrator within 30 days after the notice of arbitration is served, then the AAA will select the arbitrator. Arbitration will not commence until the party requesting arbitration has deposited U.S. $1,000 with the arbitrator for the arbitrator’s fees and costs. The party requesting arbitration will advance such sums as are required from time to time by the arbitrator to pay the arbitrator’s fees and costs until the prevailing party is determined or the parties have agreed in writing to an alternate allocation of fees and costs. The arbitrator will decide the substance of all claims in accordance with the laws of the State of Florida, including recognized principles of equity, and will honor all claims of privilege recognized by law. The arbitrator will not be bound by rulings in prior arbitrations involving our other users, but is bound by rulings in prior arbitrations involving the same user to the extent required by applicable law. Judgment upon any award rendered by the arbitrator is final, binding and conclusive upon you and us and your and our respective administrators, executors, legal representatives, successors and assigns, and may only be entered in the state or federal courts of record for Palm Beach County, Florida. YOU AND WE AGREE THAT EACH OF US MAY BRING CLAIMS AGAINST THE OTHER ONLY ON AN INDIVIDUAL BASIS AND NOT AS PART OF ANY PURPORTED CLASS OR REPRESENTATIVE ACTION OR PROCEEDING. UNLESS BOTH YOU AND WE AGREE OTHERWISE, THE ARBITRATOR MAY NOT CONSOLIDATE OR JOIN MORE THAN ONE PERSON’S OR PARTY’S CLAIMS, AND MAY NOT OTHERWISE PRESIDE OVER ANY FORM OF A CONSOLIDATED, REPRESENTATIVE OR CLASS PROCEEDING. ALSO, THE ARBITRATOR MAY AWARD RELIEF (INCLUDING MONETARY, INJUNCTIVE AND DECLARATORY RELIEF) ONLY IN FAVOR OF THE INDIVIDUAL PARTY SEEKING RELIEF AND ONLY TO THE EXTENT NECESSARY TO PROVIDE RELIEF NECESSITATED BY THAT PARTY’S INDIVIDUAL CLAIM(S). ANY RELIEF AWARDED CANNOT AFFECT OTHER USERS. Unless you and we agree otherwise, in the event that the Agreement to Arbitrate above is found not to apply to you or to a particular claim or dispute as a result of a decision by the arbitrator or a court order, any claim or dispute that has arisen or may arise between you and us must be resolved exclusively by a state or federal court located in Palm Beach County, Florida. You and we will submit to the personal jurisdiction of the courts located within Palm Beach County, Florida for the purpose of litigating all such claims or disputes. If any provision of this Agreement is contrary to, prohibited by or deemed invalid under applicable law, such provision will be inapplicable and deemed omitted to the extent so contrary, prohibited or invalid, but the remainder of this Agreement will not be invalidated thereby and will be given full force and effect so far as possible. If any provision of this Agreement may be construed in two or more ways, one of which would render the provision invalid or otherwise voidable or unenforceable and another of which would render the provision valid and enforceable, such provision will have the meaning that renders it valid and enforceable. For purposes of this Agreement, the words “include,” “includes” and “including” are deemed to be followed by the words “without limitation”; and the word “or” is not exclusive. The headings contained in this Agreement are for convenience of reference only, are not to be considered a part of this Agreement, and will not limit or otherwise affect in any way the meaning or interpretation of this Agreement. All covenants, agreements, representations and warranties made in this Agreement, as may be amended by us, from time to time, will survive your acceptance of this Agreement and the termination of this Agreement. No failure to exercise, and no delay in exercising, any right or any power set forth in this Agreement by us will operate as a waiver of such right or power, nor will any single or partial exercise of any right or power under this Agreement by us preclude further exercise of that or any other right or power under this Agreement. We may update, amend or change this Agreement at any time, in our sole discretion and without notice. Amendments will take effect immediately upon us posting such updates on our Services. We encourage you to periodically check this Agreement for changes, as your continued access and use of our Services following the posting of any changes will automatically be deemed your acceptance of all changes. If you do not agree to any change to this Agreement, you must discontinue using the Services. This Agreement replaces all previous notices or statements with respect to this subject, and cannot be modified orally or in writing by any of our associates, representatives or any other third parties. We may give, assign or transfer our rights or obligations under this Agreement to any person or entity at any time with or without your consent. You may not give, assign or transfer your rights or obligations under this Agreement to any person or entity without our prior written consent, which may be withheld in our sole discretion. Any attempt to assign your rights or obligations under this Agreement without our consent will be void. We will not be liable for any changes, delays, failures or problems out of our control, including any changes, delays, failures or problems caused by natural disasters, war, terrorism, riots, embargoes, acts of civil or military authorities, fire, floods, accidents, network infrastructure failures, strikes, shortage of transportation facilities, fuel, energy, labor or materials and other similar events. You and we are independent contractors, and no agency, partnership, joint venture, employee-employer or franchiser-franchisee relationship is intended or created by this Agreement.